Lely Resort Communities are available with different kinds of homes. In addition, there are single family homes, paired villas (duplexes), coach homes as well as condos. We have lived in the Majors and we know the Lely Resort communities very well. Also, we are area experts can help you through the process as your Naples Luxury New Home Specialist. These homes were built from 2007-20010. This is a gated, luxury community of 57 homes has floorplans that offer from 2+ bedrooms up to 4 bedroom. The homes range in size from +/-2,225-2,650 square feet under air. Many owners enjoy premium views, as the homes were built along the fairway of The Classics golf course. The location is across from Alden Woods and Canwick Cove. Owners of Cottesmore homes are required to join Lely Resort. These homes were built from 1994-1999. This is a community of only 88 single family homes that range in size from between 2 to 3+ bedrooms and have from between +/-1,414-1943 square feet of living area under air. This community has less restrictive leasing rules. This is one of the lowest priced single family home sections in Lely Resort. Falcons Glen residences are Lely Club Optional Homes. These coach homes are available with 2-3+ bedrooms and range in size from +/-1,880 to 2,532 square feet under air. Hawthorne is located within the gated Classics community. These homes were built from 2006-2008. Residents of Hawthorne have their own clubhouse with theatre and pool amenities. However, Hawthorne coach home owners are also required to be members of the Lely Resort Club and Spa. These golf villa homes were built from 1997-2001. The community is gated for additional security. There are only 44 golf villas which offer water, golf course and preserve views. The villas range in size from +/-1,631-1,900 square feet under air and are available in 3 bedrooms and 2 baths. Membership in the Lely Resort Club and Spa is optional for Indian Wells owners. These single family Home community started to be built in 2011 and finished in 2017. The community has several phases and offers single family homes and both attached and detached villas. 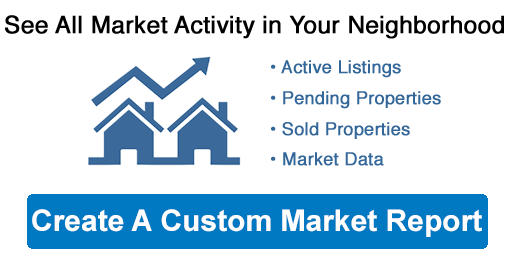 The home sizes range from +/-1,809-3,490. The homes are available from 2 bedrooms to 4+ bedrooms. Lakoya and Canwick Cove are the only Lely Resort Communities that offer Natural Gas. All Lakoya owners are required to join the resort. These homes range in size from +/-2,160 to 2,686 square feet in size. These coach homes were built from 2006-2011. The floorplans offered were 2-4+ bedrooms with a 2 car attached garage. Lely Legacy condos were built with the possibility of having an elevator which is nice for second story owners. 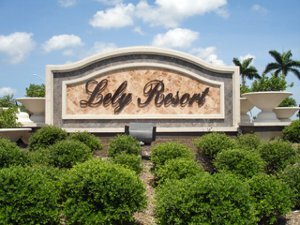 All owners in Legacy must join the Lely Resort. These homes were built from 1991. Therefore membership in the resort is optional. The community is only 190 single family homes . Different home builders were working in this area before Stock Development was here. The homes range in size from +/-2,052 to 5,891 square feet under air and have from 2+ to 5+ bedrooms. These homes were built from 2004-2007. The community has 142 grand tuscan style homes. In addition, all Majors homes were built by Stock Development. The home sizes range from +/-2,537 to 3,895 square feet under air. The homes in the Majors have impact glass in the front windows and have a 3 car garage and a large lanai for outdoor living. All Lely Majors home owners are members of the resort. This community within the Classics was built from 2007 - 2011. The community is an alcove of only 28 single family homes which range in size from +/-2,809 - 3,910 square feet. The homes have 3 to 4+ bedrooms. Many buyers comment that the homesites are generally smaller than most in the Classics with a more modest sized home. All Classics Martinique home owners join the resort. These homes range in size from +/-1,672 - 2,500 square feet under air. There are only 136 single family homes. Also, the community was built from 2002- 2005. Masters Reserve single family homes floorplans are from 2+ to 4 bedrooms. Many buyers see these homes as a good investment due to the more liberal rental policy. 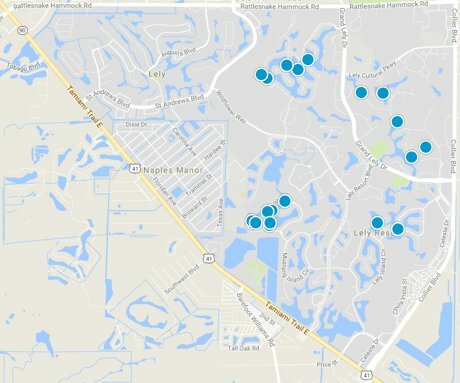 Masters Reserve homes built prior to 2003 may be Lely Club Optional Homes. The community was built from 2007 - 20013. These paired villas range in size from +/-1,816 - 2,125 square feet. The floorplans were either side entry or front entry and were 2+ to 3 bedrooms. The views range from lake views, private preserve views and some golf course views. All Moorgate Point villa home owners join the Lely Resort Club and Spa. The community was built from 2002 - 2006. This community is a gated single family enclave of 187 homes. The floorplans range in size from +/-2,015 to 2,975 square feet under air. The homes have from 2+ to 4 bedrooms. The area offers views of the Mustang golf course as well as water and preserve views. Owners in Mustang Island with homes newer than 2003 must join the Players Club and spa. This is a community of only 60 attached villas. The community was built from 1993 - 1996. The floorplan of most of these villas are identical with a mirror image pair that is +/-1,466 square feet under air. Some of these villas have great water views, others have views of the Mustang golf course, and some have no view. Mustang Villas owners have low HOA fees and do not have to join the resort. These condos range in size from +/-1,385 - 2,503 square feet. The community was built from 1992 - 2000. The floorplans are homes with 2 to 3+ bedrooms and they either have a one or two car garage. Homeowners enjoy the community pool and have an entry gate. This is one of the Lely Resort Communities where membership to the Lely Resort Club and Spa is optional. This is a condo community that is like the little resort in Lely Resort. There are town amenities like a pub, dining, resort pool and even a theater. The condos range in size from +/-1,225 to 2,100 sq ft. There are are a variety of options. Different floorplans include flats, split level townhomes, townhomes and casitas. All Ole owners join the Ole Resort and may also join the Lely Resort Club and Spa if they wish. This is a community of 56 villas and one free standing villa. The homes are a floorplan of 2+ or 3 bedroom homes with a +/-1,470 sq ft footprint. As an older section of Lely built from 1995 to 1997 Palomino Village does not have an entry gate. However this community in Lely Resort has quite low fees. Furthermore, Palomino is one of the Lely Resort Communities where owners do not have to join the resort. The coach homes construction was from 2007 to 2014. Players Cove condos range in size from +/-2,091 - 2,743 square feet under air. The community is directly across the street from the resort amenities, so there is no community pool. In addition, owners are all members of the Lely Resort Club and Spa- just a short walk away. These villas range from +/-1,694 - 2,398 square feet. There are 97 villas in Prestwick Place. The community was built from 2005 - 2008. The villas typically have, or can have a lanai and private pool for the enjoyment of owners. In addition, the floorplans range from 1,694 to 2,398 square feet under air, and have from 2+ to 3+ bedrooms. Also, Prestwick Place owners will to join the Lely Resort. These condos are the newest available as they are the final group of homes to be built in Lely Resort by Stock Development. These condos were started to be build in 2016. They start at 2,091 square feet starting with 2+ bedrooms. These condos range in size from 1,247 - 1,690 square feet. The community was built from 1995 - 2005. The three Sunstone condo communities are - Aquamarine at Sunstone, Ruby at Sunstone and Peridot at Sunstone and Sunstone on Fairways. These condos have from 2 to 3 bedrooms. Also, some Sunstone condo owners do not have to join the resort. These single family homes range in size from 2,225 to 3,009 square feet. The entire community was built from 2006 - 2007. The Sussex Place homes have 2+ to 4 bedrooms. This is one of the Lely Resort Communities that must join the resort. These homes were built from 1993 - 2013 This community of 142 homes range in size from 1,942 to 4,200 square feet. Tiger Island Homes have from 2 to 5+ bedrooms. The homes vary in size and type as there are many builders in the development of the community. All of the homes in Tiger Island are Club Optional. David and Tracy Schulz focus on working with Naples FL Golf Resort Home buyers. We know the resort, costs, fees and amenities and we want to help you! We work with Naples New Home Construction.